‘Tis the season – for colds and flu and the like, which typically means an increase in the incidence of sinusitis. Sinus infections are a very common cause of illness across the country and even more common in areas like Richmond with poor allergy climates. Thirty-seven million people in the U.S. suffer from sinusitis every year, which is about one in eight Americans. Sinusitis affects children and adults of any age. Those who suffer from sinusitis have reported high levels of pain, and low levels of social functioning, as well as significant problems with work, school, energy levels, and mental health. There are millions of bacteria in our nose, which most of the time, are harmless. Occasionally they will become trapped in the sinuses if the openings become blocked with swollen tissue. Mucus cannot drain and provides a warm, moist culture medium for bacterial growth. The result is a sinus infection. The most common causes of intranasal swelling, which causes sinus blockage, are viral upper respiratory infections or allergies. In children, chronic adenoid inflammation can lead to sinus issues as well. Typical symptoms of sinusitis include facial pressure or pain, thick nasal drainage, often green or yellow in color, nasal congestion, fatigue, decreased sense of smell, and headaches. Fever can occur, but more often is not present. Chronic sinusitis is more of a persistent inflammatory condition that shares some of the above symptoms, but congestion, smell abnormalities, facial pressure, and post nasal drainage are more common. Medical treatment of sinusitis involves both over-the-counter and prescription medications. When symptoms of an upper respiratory infection last longer than seven to ten days, sinusitis may often be present. Saline sinus rinses or neti pot usage can be helpful with clearing nasal secretions and restoring normal sinus flow and function. Decongestants such as pseudoephedrine and mucolytics can help treat the symptoms of congestion and drainage. Anti-inflammatory medications such as nasal steroids are very important in decreasing intra-nasal swelling. Sometimes oral steroids may be needed as well. Antibiotics are often necessary in the treatment of sinusitis, and in chronic cases, a two- to three-week regimen may be necessary. Surgical treatment for sinus disease may be considered when people have recurrent sinus infections over a prolonged period of time (four or more per year), or in individuals with chronic sinusitis that resists medical management. In children, adenoidectomy is most often the first line of surgical treatment and has a quick recovery. In adults, endoscopic sinus surgery can be performed. This is usually accomplished in the operating room, using small endoscopes to surgically widen the natural sinus outflow tracts and clean the sinuses out. Over the past few years, a newer technology called balloon sinuplasty has been performed in the office under local anesthesia with similar results in many patients who need surgical treatment. Most people have very little discomfort and can return to work the next day after this procedure. The fact of the matter is, due to genetics, sinonasal anatomy, or environment, certain individuals will be more prone to sinus infections than most. The good news? Help is always available with allergy treatment, medical therapy, or surgical treatment. Daniel Van Himbergen, MD, is board-certified in head and neck surgery by the American Board of Otolaryngology. 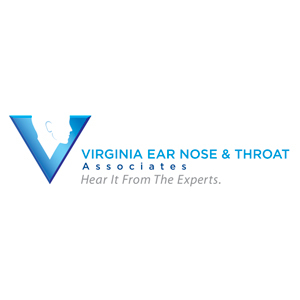 Dr. Van Himbergen sees patients at Virginia Ear, Nose, and Throat’s Hanover and West End offices. The father of three, he lives in the West End with his family.